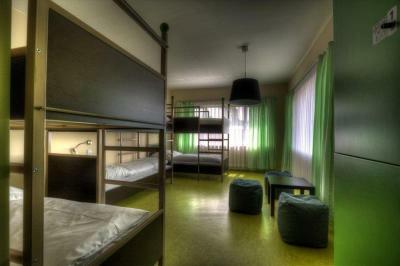 Lock in a great price for 2A Hostel – rated 8 by recent guests! 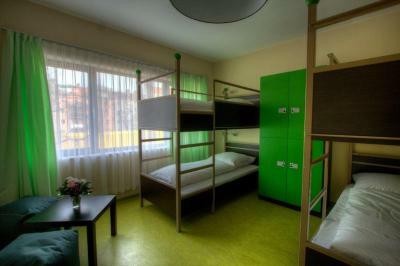 I recommend this hostel for everyone that wanna Stay in Berlin. It s really close the subway. At night, there is a noise because the train but It s not a big problema. They providenciar plugs and you can sleep well. Big bathrooms, friendly staff. 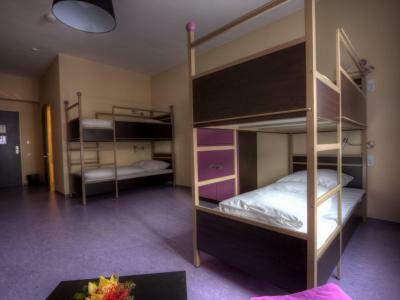 The best thing about this hostel is the position, very close to train station, subway station, a 24/7 boutique, a macdonalds and a supermarket very very close. 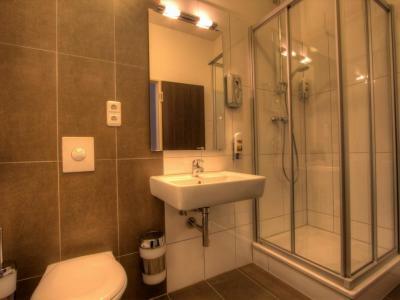 Clean, Location close to the Metro station which was great for moving around but bad due to the permanent noise. 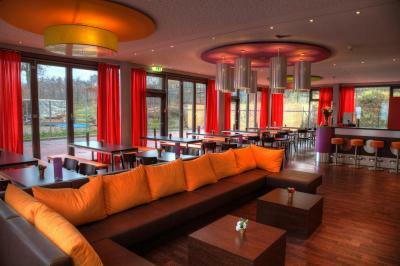 Huge lobby and friendly staff. The room was big and had windows all around, so that's nice. Also, the toilet inside the room is a plus. 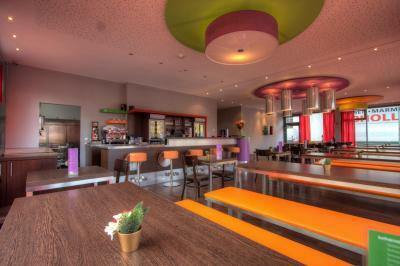 Location is very good - close to railway and bus stations.Many shops are around. Bed was comfy. 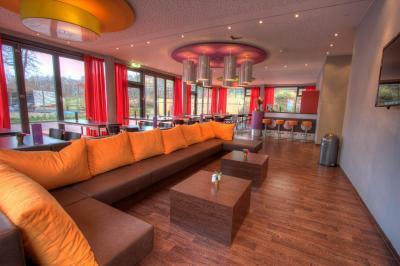 Everything was new, nice place downstairs to sit and chill. Comfortable room with personal locker and the shower was super clean. 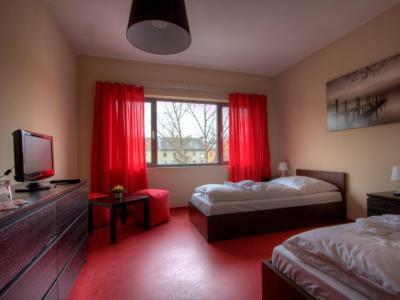 Neukölln Underground Station and S-Bahn Train Station are less than 1,000 feet from 2A Hostel, connecting guests to Alexanderplatz Square in 10 minutes. Shopping and dining opportunities are a 2-minute walk away. 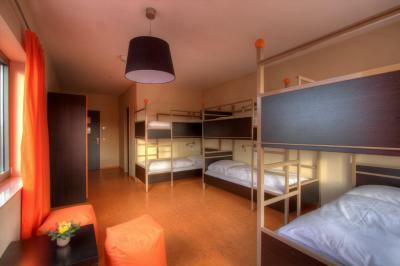 When would you like to stay at 2A Hostel? 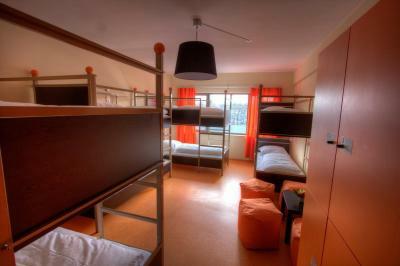 House Rules 2A Hostel takes special requests – add in the next step! 2A Hostel accepts these cards and reserves the right to temporarily hold an amount prior to arrival. 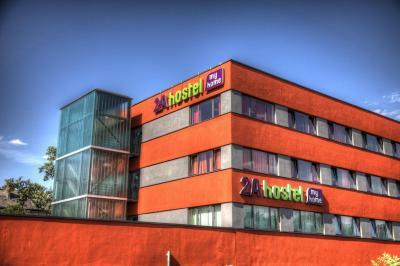 Please note that 2A Hostel requires a credit card pre-authorization to the value of the first night. This amount will only be charged in the event of a no-show. The payment for the reservation is to be made upon arrival. 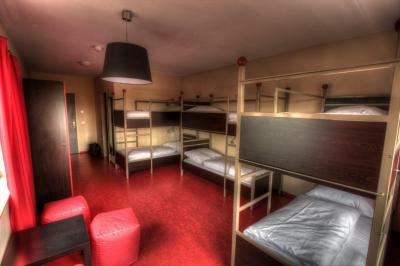 For the dormitory rooms, towels can be rented for EUR 3. 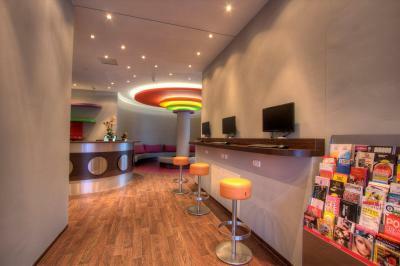 On arrival guests are also charged a key deposit of EUR 5 in cash. Please note that guests under 18 years cannot be accommodated in a dormitory, only in private rooms with a consent form of their legal guardian. 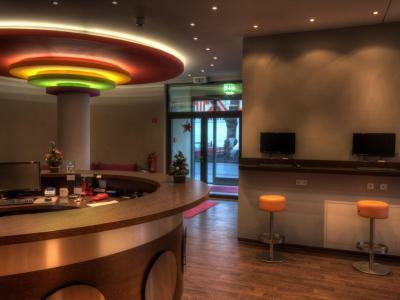 Please note that on check-in, guests' photo identification must still be valid and the credit card shown must be the one used to make the reservation. 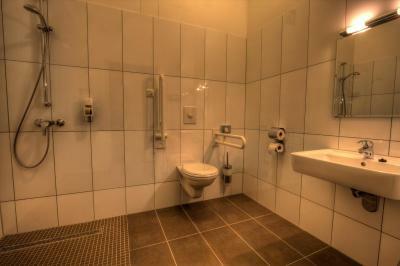 The bathroom is huge and ventilation system is very good. There were no bathrooms in the corridors. Just one shower/toilet inside the room for 8 people was a bit tough. I wish there had been possibility to recycle!!! 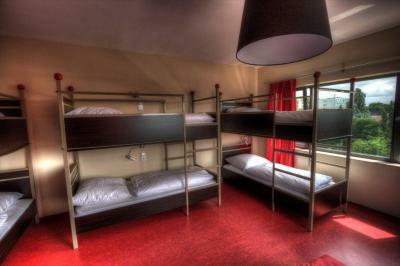 Good value hostel with excellent accessibility with public transportation. Friendly staff. Really comfortabl mattress. Safety box is great. 0.50 cents for a glass of hot water to make some noodles. We were in a mixed room and we felt a bit uncomfortable on the first night, being the only girls there. The staff was excellent in giving us options and helping us make the best choice. We stayed in the same room in the end, but were grateful for the assistance. 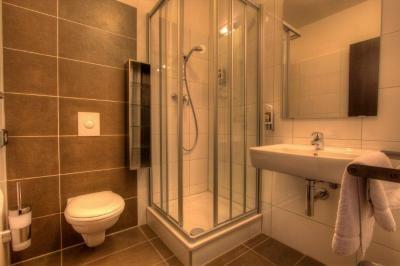 Warm rooms, clean bathrooms and very good showers. There are lockers in the rooms and you can leave your luggage with reception after you checkout. 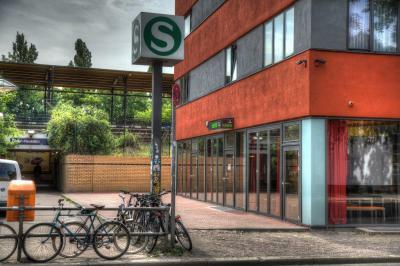 The station is right outside the hostel, very easy to get to central Berlin. 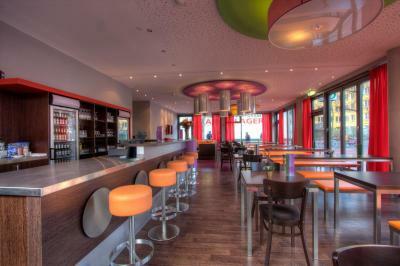 The staff was friendly and did their absolute best to handle any requests we made. 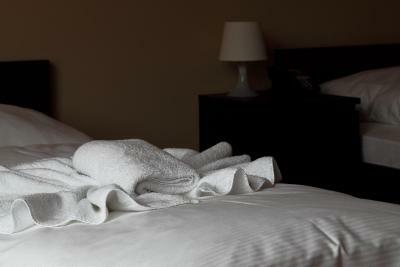 We felt comfortable and got good sleep after some intense days of walking. Hostel staff or management is very strict, not in favor of bachelors. location is very good with S bahn and U bahn connectivity.. Screaming children running around in the lobby for hours. The staff didn't tell them to be quiet at all. Just pretending it wasn't going on. Good wifi, and locker provided. N/A except of payment at the property using credit card - (you'll pay 1 or 2% extra using credit card than the price). 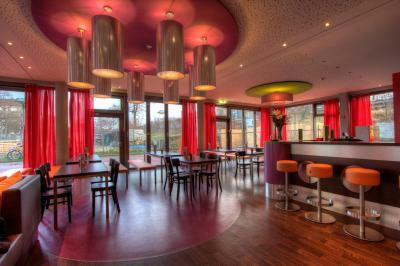 Great location, right next to the S-bahn station, near to McDonald's and supermarkets, easy to arrive from both airports in Berlin. 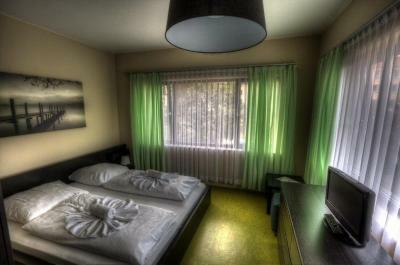 Nice staff, clean rooms (I took a single room, which was super clean, cleaning everyday).